This statistic shows the number of poker players worldwide who play for money, from 2006 to 2010 (in millions). 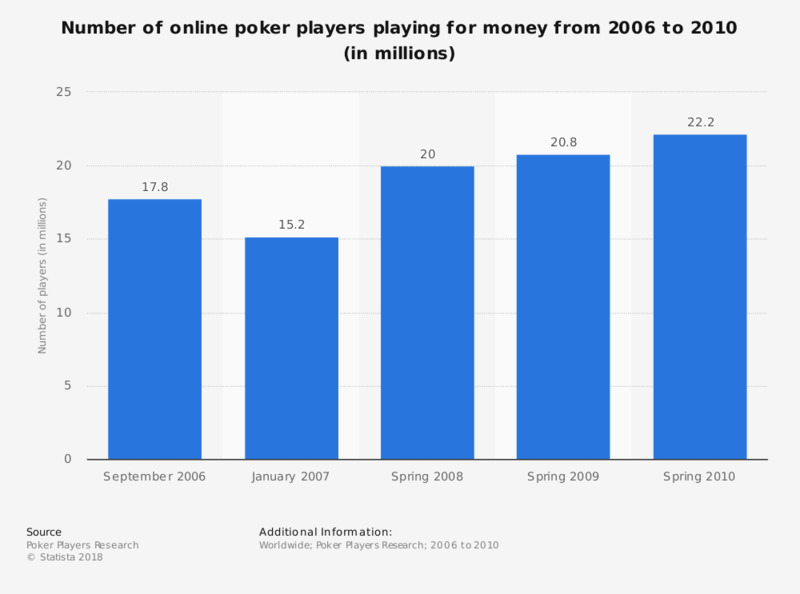 In Spring 2008, 20 million people played poker online for money. The total sample size is 346,222 respondents.